On Lethal Weapon Season 3 Episode 15, Cole was put on blast by the FBI, and Murtaugh wondered whether his partner was lying. Watch the full episode. On Lethal Weapon Season 3 Episode 15, Cole ends up being investigated by the FBI which forces Murtaugh to question his loyalty to his own partner. 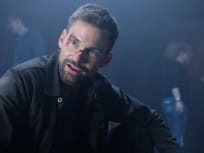 On Lethal Weapon Season 3 Episode 14, Cole reaches out to Tom Barnes to help with a case and puts Murtaugh and Cole's partnership to the test. 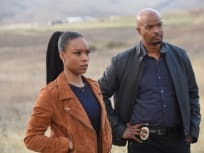 On Lethal Weapon Season 3 Episode 13, Cole and Murtaugh investigate a father and child crossing the border and uncover an issue with California Border Patrol. On Lethal Weapon Season 3 Episode 12, Murtaugh and Cole investigate the murder of an underground MMA fighter and Trish considers running for public office. On Lethal Weapon Season 3 Episode 11, Cole is left to investigate a murder himself as Murtaugh takes a family vacation and witnesses an alleged abduction. 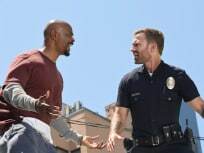 On Lethal Weapon Season 3 Episode 10, Murtaugh worries about his murder investigation while Cole finds himself on the rebound after Natalie's engagement. 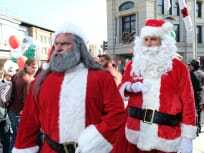 On Lethal Weapon Season 3 Episode 9 Cole gets into the holiday spirit with Maya, while Murtaugh hopes he can convince RJ to come back home for the holidays. On Lethal Weapon Season 3 Episode 8, Cole wants to talk to Natalie about their relationship before it's too late, but a wrench is thrown in his plans. On Lethal Weapon Season 3 Episode 7, Murtaugh turns to Cole's former mentor for help on a high-stakes cartel case, and Murtaugh and Trish meet Natalie and Maya. 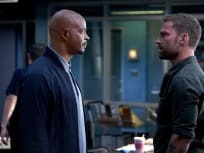 On Lethal Weapon Season 3 Episode 6, as Cole and Murtaugh investigate a robbery of safe deposit boxes, Cole gets alarming news from his former mentor. 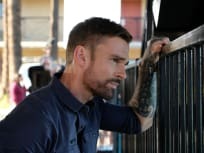 On Lethal Weapon Season 3 Episode 5, Riana blackmails Murtaugh after she catches him in a lie, while Cole deals with lingering feelings for Natalie. On Lethal Weapon Season 3 Episode 4, Murtaugh struggles with his own mistakes after a murder raises questions about a suspect he put away years prior. On Lethal Weapon Season 3 Episode 3, as Cole and Murtaugh work together to bust a gang running a lottery scam, Cole struggles to be a good parent. On Lethal Weapon Season 3 Episode 2, new partners Murtaugh and Cole attempt to find a steady rhythm as they work to solve the murder of a finance executive. On Lethal Weapon Season 3 Episode 1, former international CIA operative Wesley Cole returns home and assumes duty as a police officer with the LAPD.